​The rector is the ecclesiastical (church) authority of the parish. The term is derived from the Latin for "rule." 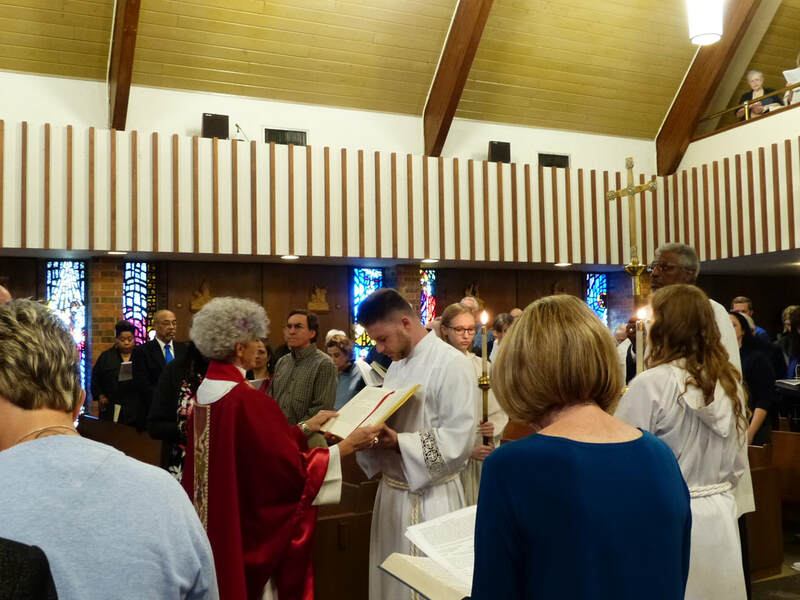 The rector has authority and responsibility for worship and the spiritual jurisdiction of the parish, subject to the rubrics (directions or guidelines) of the Book of Common Prayer, the constitution and canons of the church, and the pastoral direction of the bishop. The church and parish buildings and furnishings are under the rector's control. The rector presides at all vestry meetings. Rectors are called by congregation, usually after a search process. Karen Calafat is an Episcopal priest, certified spiritual director, and supervisor for spiritual directors. She was Chaplain and Spiritual Care Provider at Hillsides Home for Children in Los Angeles, caring for emotionally disturbed foster children in a residential treatment center. She served as Associate at St. James' Episcopal Church and Interim at St. Mark's Episcopal Church, both in California, before relocating to Texas a few years ago. Karen replenishes her soul meeting God in nature by hiking, camping and exploring National Parks. She is passionate about the dignity and worth of every human being and strives to help others discover the fullness of God's grace and love. 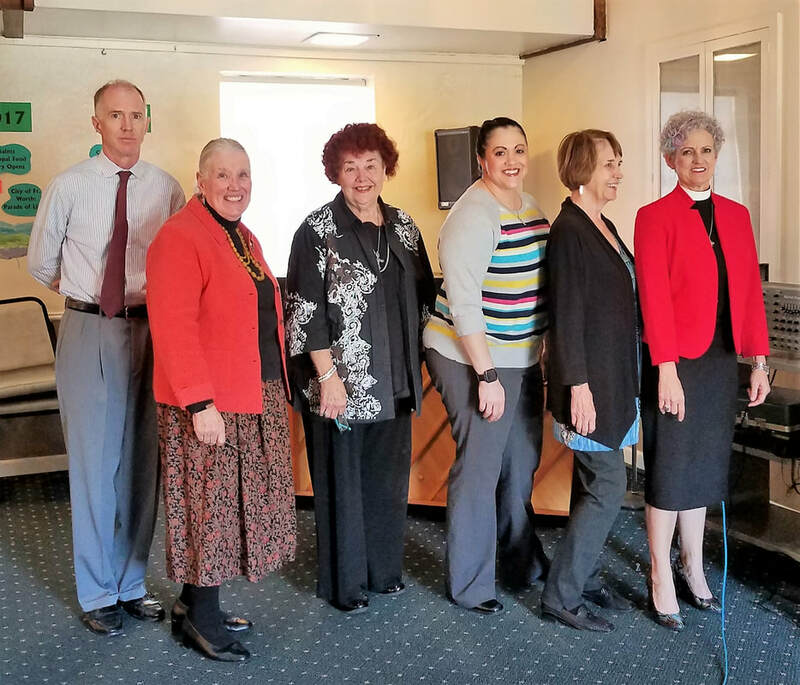 (pictured above L-R) Senior Warden William Ledbetter, Sheila Camp, Suzi Reid, Daun Harner-Weeks, Carolyn Brannen, and Karen Calafat. Not pictured are Elizabeth Edwards and Donnell Guyon. ​The vestry is the legal representative of the parish with regard to all matters pertaining to its corporate property. Vestry members are elected by the congregation at the annual parish meeting. The rector is the presiding officer. The senior warden is appointed by the rector and leads the parish between rectors and is a support person for the rector. Tony L. Kroll is a graduate of Oklahoma State University where he studied organ with Gerry Frank. His work in church music started in 1980, serving Episcopal and Catholic parishes in Oklahoma, Oregon, Wisconsin, and Texas. His local service includes St. Joseph Catholic in Richardson, and he comes to us from the Church of the Holy Apostles in Fort Worth. In addition to serving our parish, Tony teaches Communication Studies at Mountain View College in Dallas. Bishops are one of the three orders of ordained ministers in the church (deacons,priests, and bishops). They are charged with the apostolic work of leading, supervising, and uniting the church. Bishops represent Christ and his church, and they are called to provide Christian vision and leadership for their dioceses. A diocese is the territorial jurisdiction of a diocesan bishop. The term also refers to the congregations and church members of the diocese. Bishops serve as the focus for diocesan unity and for the unity of their dioceses with the wider church. Since the bishop's ministry is a ministry of oversight, the term "episcopal" (derived from the Greek episcopos, "overseer") is applied to matters pertaining to bishops. An "episcopal" church is a church governed by bishops, and "episcopal" services are led by bishops. The Rt. Rev. J. Scott Mayer ﻿was elected﻿ the fourth provisional bishop of the Episcopal Diocese of Fort Worth at a Special Meeting of Convention on May 16, 2015, at Trinity Episcopal Church, Fort Worth. He succeeds the ﻿Rt. Rev. Rayford B. High, Jr.﻿, who resigned effective June 30, 2015. Mayer continues as bishop of the Episcopal Diocese of Northwest Texas while also serving as provisional bishop of Fort Worth. He splits his time between the two dioceses. Bishop Mayer was ordained deacon in 1992 by the Rt. Rev. Donis Patterson and ordained priest in 1993 by the Rt. Rev. James Stanton, both in the Episcopal Diocese of Dallas. He then served as curate at St. James Episcopal Church in Texarkana before being called to the Church of the Heavenly Rest in Abilene – first as associate rector in 1994, and then as rector in 1995. He was consecrated as bishop of the ﻿Diocese of Northwest Texas﻿ on March 21, 2009, in Lubbock, where he and Kathy now reside. The Mayers have two grown children, both married, and two grandchildren. The Most Rev. Michael B. Curry took office as the presiding bishop of The Episcopal Church on November 1, 2015. The Episcopal Church is a province of the Anglican Communion. The presiding bishop is the chief pastor and primate of The Episcopal Church. The chief bishop in an province of the Anglican Communion is called a primate. As chief pastor, the presiding bishop is charged with initiating and developing church policy and strategy, speaking God's Word to the church and the world, and visiting every diocese of the church. The Cathedral of Saint Peter and Saint Paul (also known as the National Cathedral, the site of the funeral of former President George H. W. Bush in 2018) in Washington, D. C., is the official seat of the presiding bishop. The office of the presiding bishop is located at the Episcopal Church Center in New York City. The present term of office for the presiding bishop is nine years. He formerly served as the bishop of the Episcopal Diocese of North Carolina. 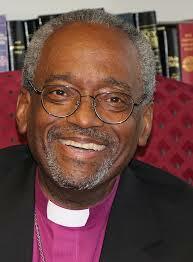 Curry is the first African American to be elected to the office of presiding bishop. You may recognize him as the preacher at the 2018 royal wedding of Prince Harry and Meghan Markle, the Duke and Duchess of Sussex.